It has been an eventful year so far for the Philippine concert scene thanks to Smart Music Live. They opened the year with David Guetta's Unity Tour and followed it up with some of the most sought after names in the music industry. On mid-year, Filipino fans were treated to a major 90's throwback as the Pop Princess herself, Britney Spears, took on the Mall of Asia Arena for an unforgettable night that left the entire Arena crowd singing Oops!... I Did It Again, Baby One More Time, and Sometimes in pure fandom euphoria even after the event ended. 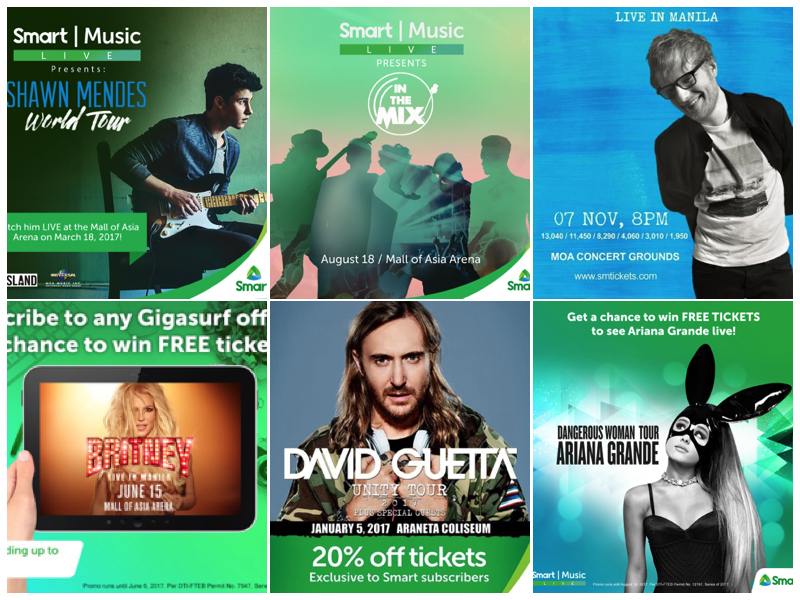 With exclusive promos, meet and greet events, special discounts and even FREE TICKETS for Smart subscribers, Smart Music Live has come up with some of the most memorable concert experiences that we have had in years! As we gear up and brace ourselves for an even bigger second half of 2017, Smart Music Live unveils its drool-worthy line-up which includes In The Mix (Aug 17 MOA Arena), Ariana Grande (Aug 21 MOA Arena), Justine Bieber (Sept 30 Philippine Arena), and the one that I am most excited about - Ed Sheeran (Nov 7 MOA Concert Grounds)!!! Follow Smart’s Facebook, Instagram and Twitter accounts to join event promos, score FREE TICKETS, and to get more updates.